On Friday the bulls won back their positions lost earlier. It looks like the price started the formation of a rising wave (5) of  and may reach a new local maximum during Monday. Most likely, the bulls will get closer to the level of 0.9700. 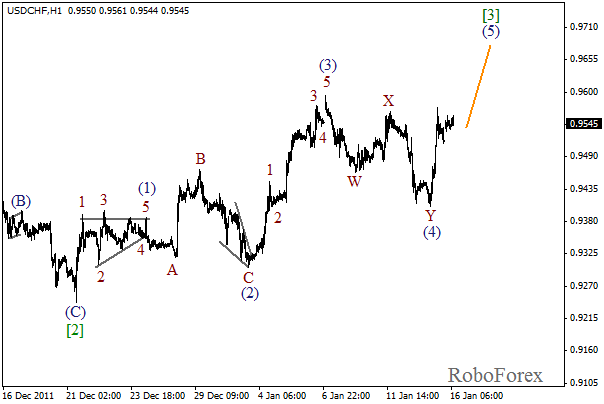 Last Friday the price completed wave (4) in the form of double zigzag pattern. At the moment Franc is consolidating, but the price may start growing up again during the day. The forecast of the price movement is still bearish. 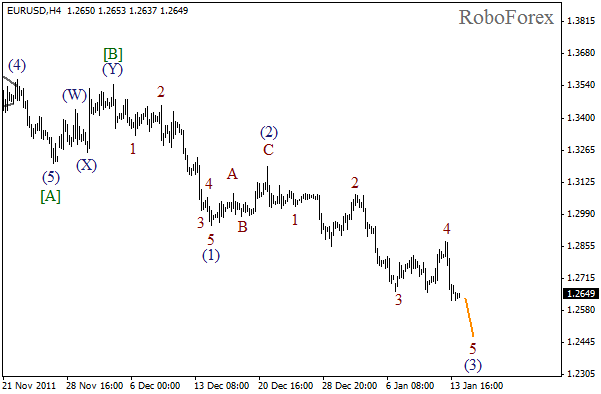 Last Friday the price made a strong descending movement and reached a new minimum in wave 3. 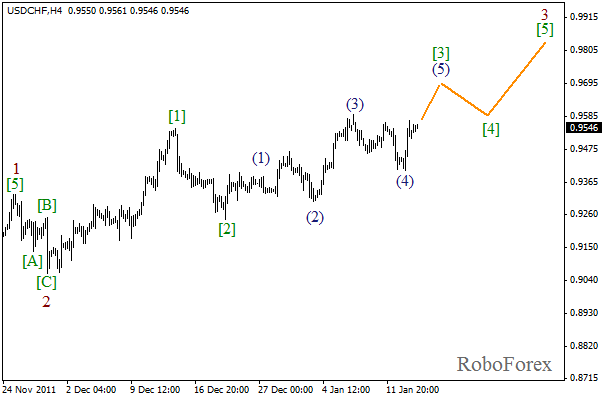 It looks like wave 5 of (3) hasn’t been completed yet and Euro may fall down even lower. The target for the bears is still at the level of 1.2500. 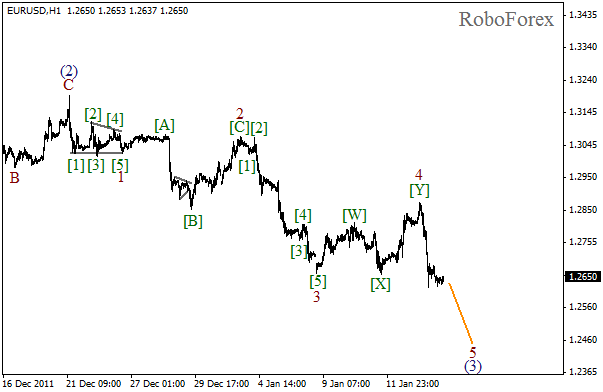 As we can see at the H1 chart, the fourth wave has been completed in the form of double zigzag pattern. During the market opening the market was consolidating, thus indicating that the price may continue moving downwards while forming wave 5 of (3). We should expect Euro to fall down on Monday and Tuesday.